Once you use TradeSmart nothing else will do. But then, nothing else will have to. Instantly accessible so you are better able to trade anytime, anywhere and in any asset class. With TradeSmart you are more effective and secure. Our OMS is an integrated system that helps manage the key activities necessary for operating your firm: order management, position keeping, exposures, profit & loss, risk, rebalancing, allocations, valuation and compliance services. In addition, we have a strategic alliance with SimCorp Dimension® that provides a fully integrated front-to-back solution to simplify and manage buy-side trading, operations, reporting, TCA and regulatory requirements. 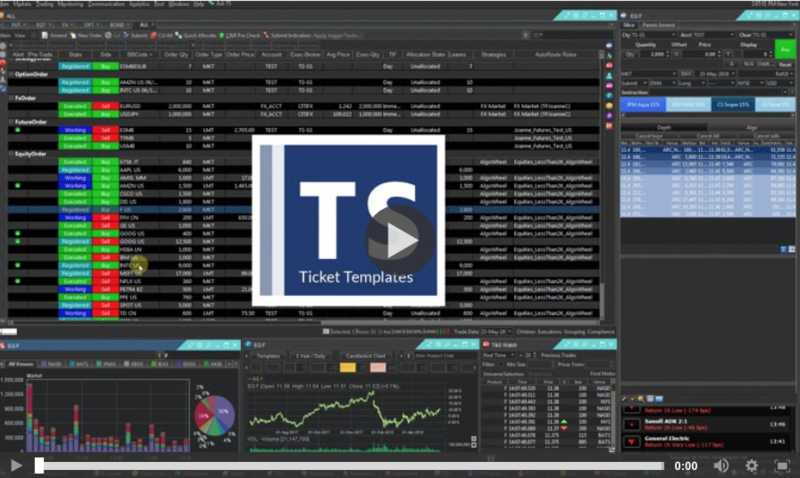 TradeSmart connects to all leading portfolio and order management systems, creating a universally connected experience that ensures TS complete integration into the buy side workflow. TS automates your workflow to ensure that you have the knowledge. Our holistic workflow solution streamlines connections to third parties as well as our management system, portfolio management system, and risk and compliance engines. World class, 6 day, 24-hr customer global support desk. 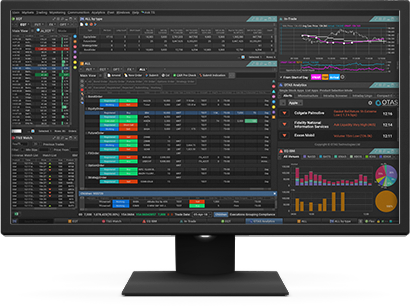 Our expertise in supporting and managing algo strategies, enables access to the largest suite of broker and custom algos, with the ability to script automation logic. Access to a suite of built-in apps including embedded TCA. Our API provides access to quotes from LP’s, tick-by-tick database, and an advanced risk and compliance module with real time credit updates and audit trails. We cover highly sophisticated international clients with a local approach and support. Our cloud-based model lowers the cost of ownership through fast implementation and fully managed solutions, along with minimal infrastructure integration. 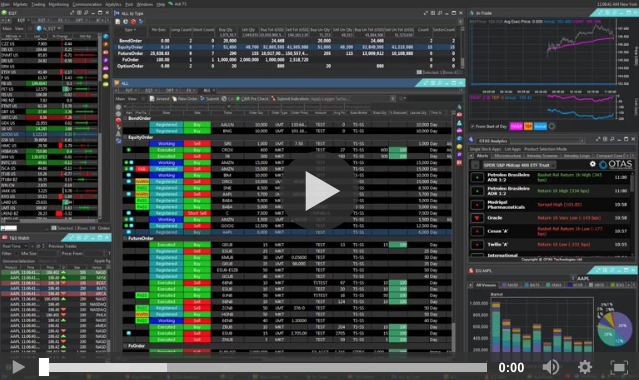 Pre-trade analytics, liquidity aggregation, real-time market data with visualization, order routing through proximity hubs including: FIX API, Excel API & COM API, and broker neutral post trade analytics. Contextualized axes, streaming prices and BBO stack with data aggregation and normalization tools. Fully customizable GUI with low latency price streams, slippage calculations and more. Completely customized ,layouts, drop copy and post trade reporting, and unique pre-allocation and credit check technology. 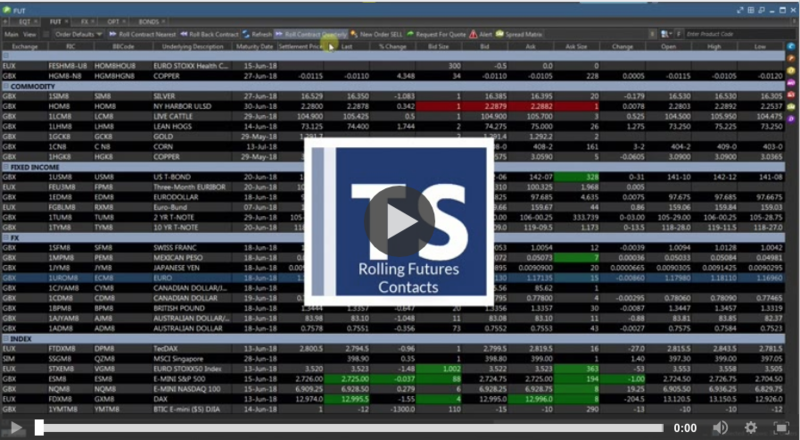 Connects to all global Future Exchanges with real time trade and sophisticated order entry and large order offerings including: bespoke order entry, spread matrix, option strike ladders. 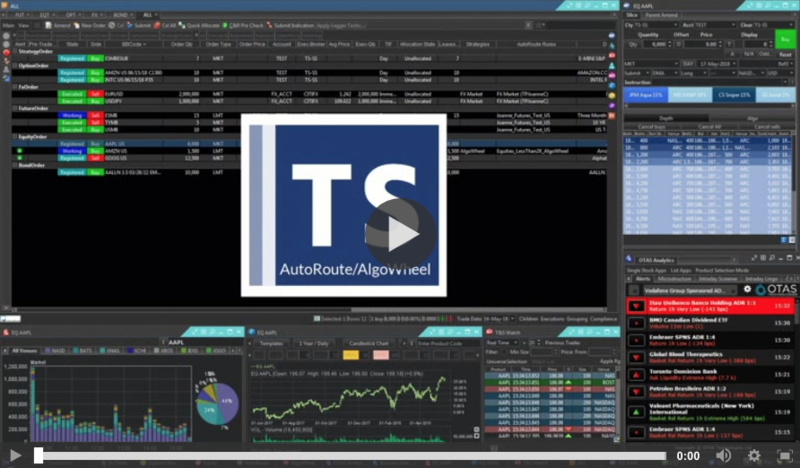 Connects to most global exchanges with access to complex algo trading strategies and analytics.